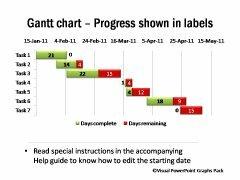 Description: A Gantt is used to illustrate project schedule. 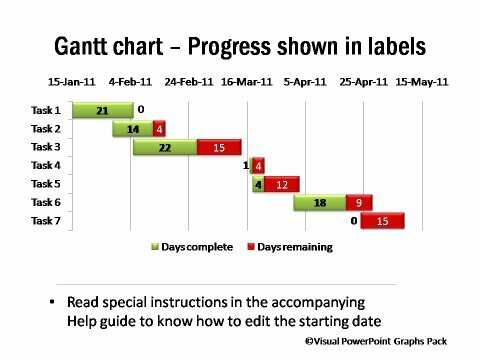 The data labels on the bars indicate the duration of tasks clearly. 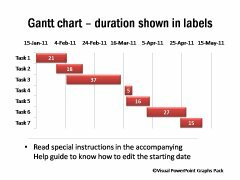 Since a Gantt chart has become a common charting technique these days, most audience understands the chart quite easily. 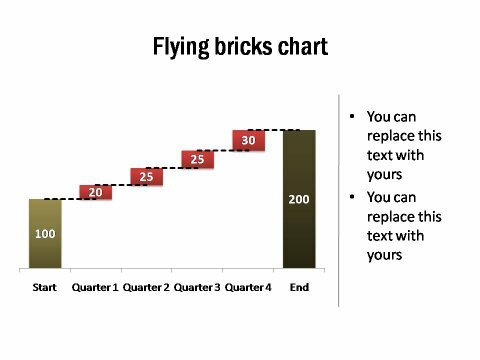 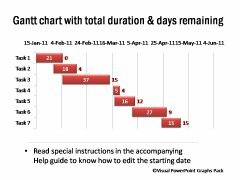 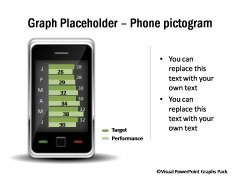 Use it in any project related presentations.The starting date, and projext schedule can be entered in worksheet to create this chart instantly.